This is a photo I took a couple weeks ago just as Jupiter was becoming visible before sunrise. 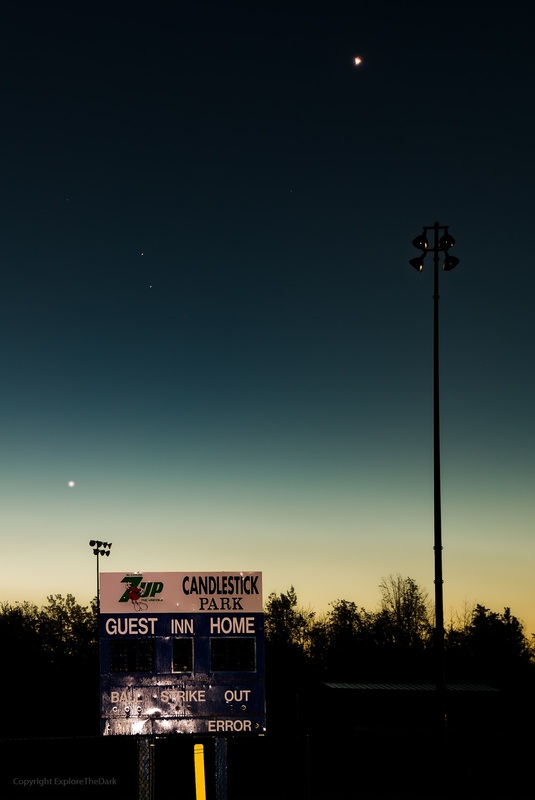 In this show Jupiter is low, and to the left of the scoreboard, directly above the scoreboard at two-thirds from the bottom is Mars in red, and on the right toward the top is the bright dot that is Venus. In October, these planets get extremely close (photo from Stellarium app) on their approach. For those of you with clear skies, look east in the mornings and you'll see these dots nearly converge on the 27th. The Moon gets in the mix between now and then, over the next couple days. 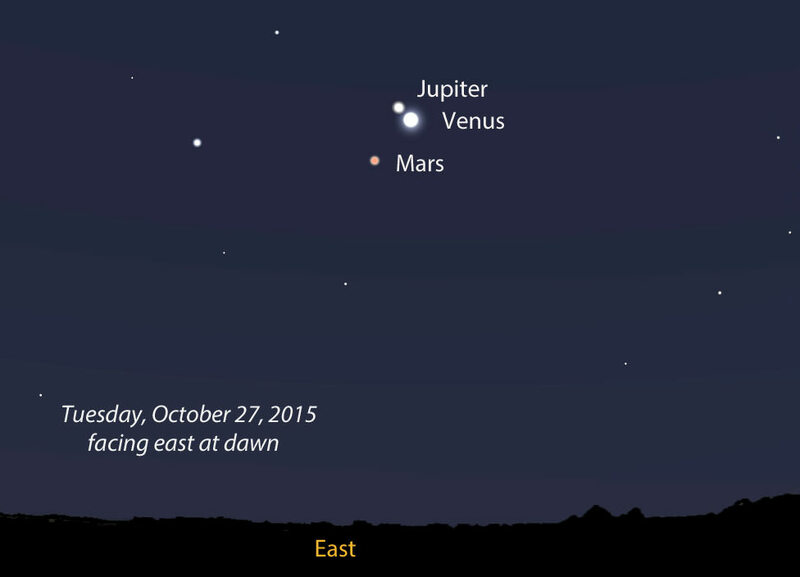 Universe Today talks about all of the pre-dawn happenings this month here!